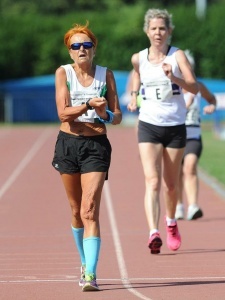 Race Walking is often regarded as a Cinderella event in athletics terms, even a haven for those too old, injured, or exhausted to run anymore. 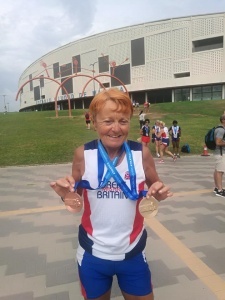 But ask anyone who has tried it and they will tell you it is a demanding discipline, both physically and mentally, as there is a specific technique to be mastered and rules to be adhered to in races. 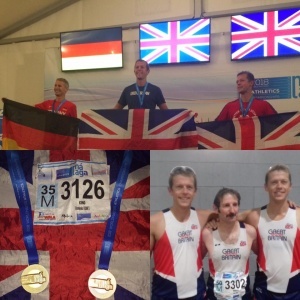 The BMAF offers championships over a whole range of distances, from 3000m track to 50K road. Within EMAC we currently only hold one road championship (5 miles) every year, with others as and when a host event becomes available. There is also a track 2000m championship race and there has historically been a walking race in every T&F League match since that competition series began. 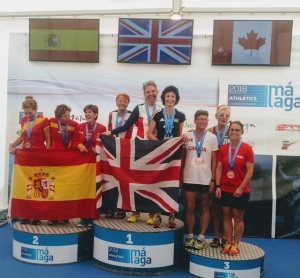 Dominic and Dan King with 1st and 3rd in the 10km Race Walk at the World Championships, Malaga 2018 and 1st place Team! !